In the standard curriculum of authentic a ḥadîth, scholars include a discussion about which chains of ḥadîth narrations are strongest. There is a hierarchy according to strength. So when it came to the study of weak a ḥadîth the scholars mirrored this hierarchical qualification, deeming it befitting and symmetrical to include in the study of what constitutes a weak ḥadîth a discussion of which of the chains of narrators was the weakest. 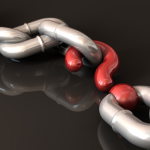 Of these chains of narrators which are considered weakest Ibn Ḥajar says of one: “This is the chain of lies….” Thus it parallels the strongest chain of ṣaḥîḥ ḥadîth, namely, the Golden Chain of narrators. The content of the ḥadîth do not mention matters of ʿaqîdah [belief], such as ṣifât Allah, God’s attributes. No legal [Sharîʿah] ruling is derived from the ḥadîth, that is entailing ḥalâl and or ḥarâm, how to worship, or instructing as to transactions and contracts. One reporting weak ḥadîth refrains from using phrases conveying certainty, such as “The Prophet ﷺ said such and such,” or, “it has reached us that the Prophet ﷺ said such and such,” and the like. Bukhâri was of the opinion that a weak ḥadîth should not be used for any matters of religion. A ḥmad ibn Ḥanbal was of the opinion that if a ḥadîth is not very weak, then it can be used even to derive legal rulings (a ḥkam Sharîʿah). The content of the ḥadîth falls under an established category. For example, there is a weak ḥadîth: “Be chaste and your women shall be chaste.” The commandment of chastity is well-established in the Quran and the authentic ḥadîth. One not believe with certainty that the ḥadîth is authentic. For example, there is no authentic narration that the recitation of Sûrat Al-Mulk before sleeping is a protection from the punishment of the grave, if its reciter dies while sleeping that night. On the contrary, all the narrations that indicate this are weak. Nonetheless, it is desirable that one recite Sûrat Al-Mulk before going to sleep because there are weak a ḥadîth that advise it, and that the ḥadîth falls under an established principle; namely, that it is good to recite Quran during the day and night. However, since a weak ḥadîth means by definition that there is uncertainty as to whether the Prophet ﷺ said or did something, one should recite Sûrat Al-Mulk before sleep with this understanding: If the Prophet ﷺ did say that it protects from punishment in the grave, if read with belief and for the sake of Allah, then one shall gain that benefit. But if the Prophet ﷺ did not say this, then it is still good and beneficial to recite of the Quran at any time of day or night—and it may be that Allah, out of His mercy, will grant a person who reads Sûrat Al-Mulk before sleeping what they hoped for.